Samsung’s upcoming Galaxy S8 flagship smartphone will blend fingerprint, iris and facial detection technologies to verify users accessing mobile services, including Samsung Pay, Bloomberg is reporting. The smartphone will employ “cutting-edge security”, including biometric facial-recognition for mobile payments within months of its release, according to people familiar with the matter. 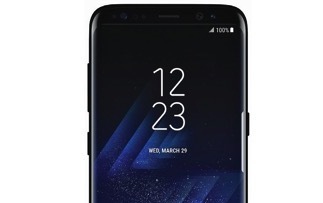 While previous Galaxy phones have allowed users to unlock their phones with facial recognition, the S8 would be the first to use the technology to verify financial payment applications. The south Korean tech giant is also said to be working with banks to help them embrace facial recognition systems in the coming months. With mobile security taking on greater importance among consumers, the Korean company has been trying to bolster its facial detection rate over the years, the people said. Iris and facial detection capabilities complement each other: phones can rely on iris detection when there’s not enough ambient light to recognize facial features. But the smartphone unlocks faster and with more accuracy when it comes to recognizing faces. Success for the S8 will be crucial to salvaging Samsung’s reputation, especially with de facto chief Jay Y. Lee detained in a corruption scandal that’s already led to the ouster of the nation’s president. With Galaxy S8, Samsung is looking to make a splash after killing off its exploding Note 7, which cost the company more than $6 billion globally. The flagship device will be going up against the new ‘iPhone 8’ due later this year — the 10th anniversary version of the iconic device.